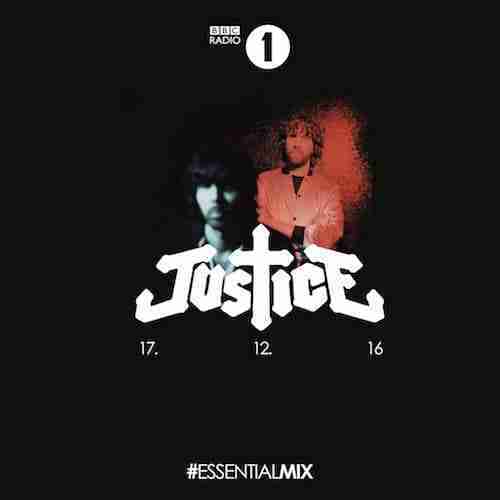 So Justice are back on the Essential Mix for the first since 2007. Initially this mix was slated to drop the week before their recently released third LP – Woman, but was understandable delayed in order to prioritise completing said LP. Unfortunately upon hearing the new album it would appear that the extra time taken was insufficient to save, what is in our opinion, all skirt and no trousers. Listen Here: [ Justice – Woman ]. Alas, within the first 90 seconds Justice move swiftly to douse our forlorn hopes with the following introduction: “We made this Essential Mix to show another side of the music we love, and don’t fully get to play in clubs or festivals, its slow moody and heavy…” WHAT… come on guys! We all have things that we love and dont fully get to share with the world. For example I love my pyjamas and putting on my slippers after a hard days work, but Im not about to wear them in public just because I like them. Perhaps a little harsh, but you get my point. In truth the comparison to my PJ’s is a little unfair as there are some great records on display here, which are well sequenced and provide an interesting insight into the Justice sound. BUT and this is a big but, I can’t help but feel that Justice missed a trick here by not adequately representing their club sound. Not, I should point out, that we have a problem with a mix exploring non-club related sounds, take the fabulous Todd Terje Essential Mix as a case in point [Listen Here]. But when 90% of your appeal is nightclub not vintage vinyl collectors club you need to represent that sound, especially when curating an Essential Mix.